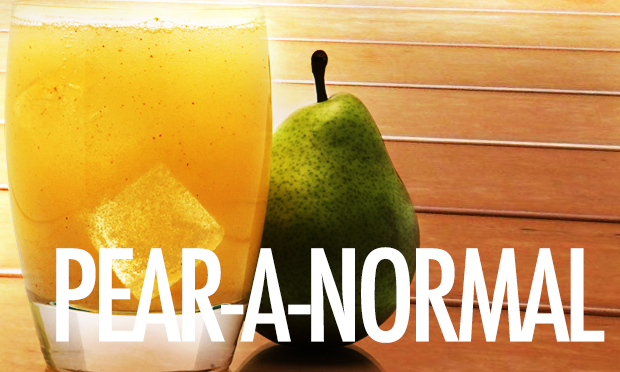 One of the great things about cocktails is the ability to “pear” (haha) interesting flavors together in ways you may have never tried before. Spicy flavors are by far one of my favorites, and adding a little bit of something sweet really seems elevate the sipping experience. This weeks cocktail is a great combination of spicy and sweet, get your muddlers out and get ready for a “Pear-a-Normal” experience! Use a spoon to gently peel the thin skin off a fresh ginger finger (one of the little protruding pieces of the “hand”), and cut off 4-5 thick slices. Toss them in a cocktail tin with 1 1/4 oz Clique Vodka, and press repeatedly with a cocktail muddler or any kitchen utensil with a flat end on the handle. Strain the liquid into a rocks glass filled with ice, and top with pear nectar. Give the cocktail a light dusting of grated cinnamon and stir. 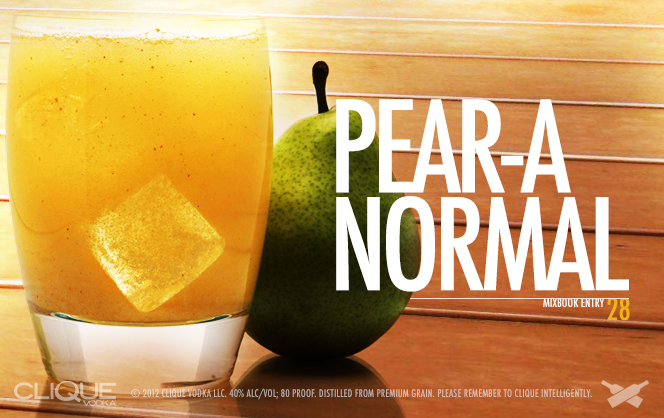 A great combination of sweet, spice and heat, the “Pear-a-normal” is a great way to warm up this winter. Not sure if Clique Vodka is available in your state? Find out here. And don’t forget to keep those #CliqueShots flowing!